Join Pastor Ryan Brodin as he leads adult men in a discussion of select scriptures on the 1st, 3rd, and 5th Tuesdays of each month. The gatherings start with a hot breakfast at 8:30 a.m. 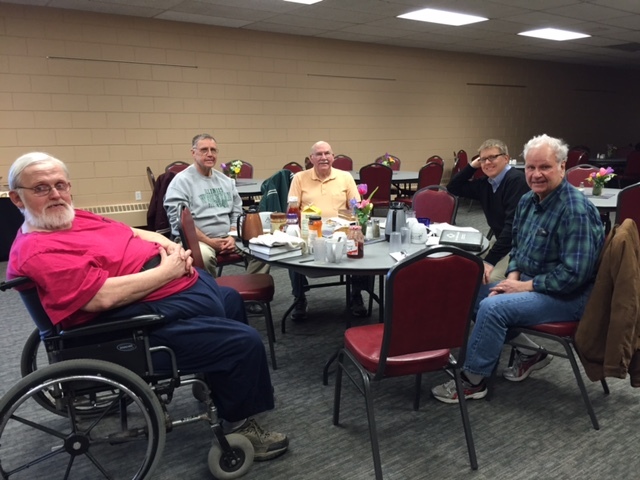 These men of faith discuss the Bible and theology and what God means to them in their everyday lives. Join them for this time of fellowship, great food, and growing in faith!